Adversity breeds good metal. It’s always been the case that difficult personal circumstances make for heavy music of a higher calibre, simply because of the nature of the genre. Buried in Verona may have lost more than half of their members since last year’s ‘Faceless’, but they’ve come out of the transition stronger than ever and armed with their best collection of songs to date. The Australian metalcore scene has been a fertile one since the mid ‘00s and with the higher profile bands Parkway Drive, I Killed the Prom Queen and The Amity Affliction making waves on the other side of the world it’s high time the raft of other talented Aussie acts see similar success. Both the previous BIV albums went top 20 in their homeland but they’ve yet to really replicate that accomplishment worldwide. ‘Vultures Above, Lions Below’ may just be the album to do it. Completing the process of maturation that’s been evident since 2012’s ‘Notorious’, it’s a supremely confident opus that shows previously untapped seams of potential and in particular a knack for melodic songwriting that takes the group’s music to greater heights than previous. At first it seems like metalcore business as usual, with first the widescreen opening punch of “Vultures Above” and then “Extraction” with crunching verses and clean chorus sticking strictly to genre parameters. The production of the record is immediately crisp and massive-sounding, particularly impressive considering it was masterminded by the group themselves with mixing and mastering coming from the genre’s most reliable talent Fredrik Nordström. From there things get more interesting, “Dig Me Out” employing a Korn-esque song structure and bouncing riff. The big, simple screamed chorus and mid-range guitar leads add distinctiveness to what’s probably the best song here. It’s a tad disappointing that there’s nothing else on the tracklist like it. 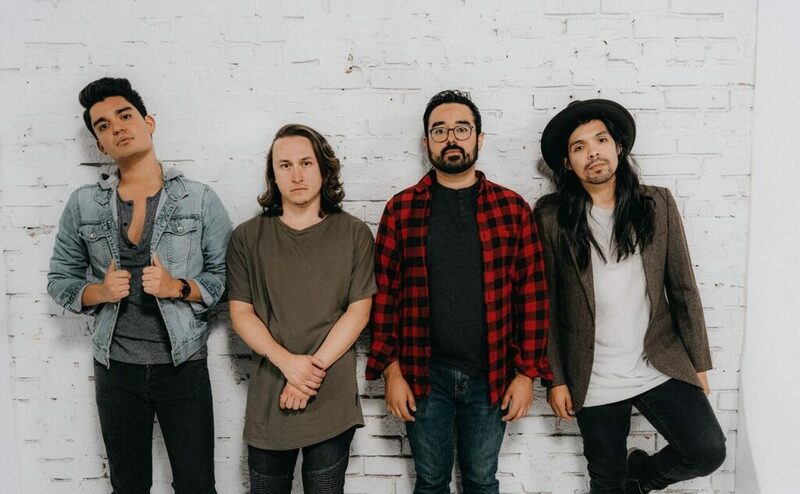 Buried in Verona take similar cues to Of Mice & Men by moving towards a radio rock sound on the punchy, dynamic “Hurricane”, the melodic thrust of “Done for Good” and most notably on reverb-drenched ballad “Can’t Be Unsaid”. Richie Newman’s clean singing is powerful enough to carry these tracks, but the vocal patterns lack sufficient pop sensibility. There’s a deficiency of fun across a lot of this album, its po-faced seriousness understandable considering the circumstances of its creation but resulting in a listen that’s a tad monochrome. There are moments – the whispered “get up” before the riff drops on “Dig Me Out”, and in particular the uproarious string melodies of the ridiculously fun “Reflection” – that buck the trend, but nonetheless the greatest weakness of ‘Vultures Above, Lions Below’ is its blatant solemnity. Its final two tracks also do little to add to an album which peaks on a high with the more optimistic “Unbroken”, recalling The Amity Affliction’s “Pittsburgh” with both its yearning chords and emotional intensity. The biggest mistake that metalcore bands including Buried in Verona have continually made is lack of variation in their songs, and on this album BIV have successfully cleared that hurdle through incorporation of alternative metal, pop rock and icy electronic elements. Some of the resulting songs are better than others, but ‘Vultures Above, Lions Below’ sounds consistently enormous and is by a significant margin the band’s best album to date. The rest of the metalcore world clearly still has a lot to learn from its Australian contingent.